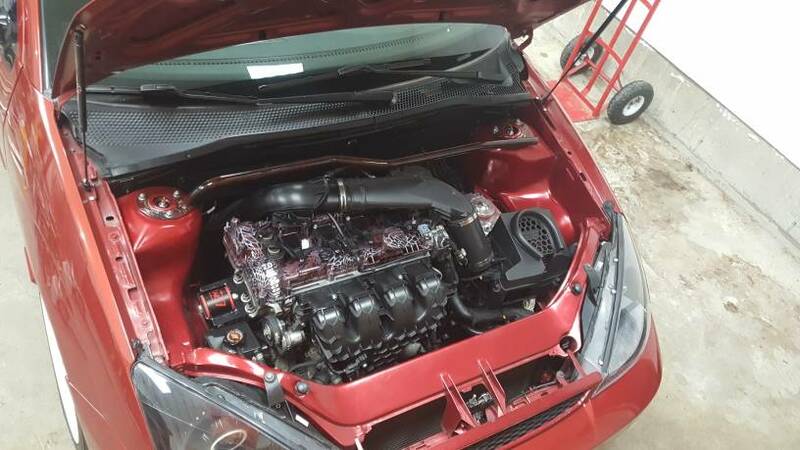 I have a 2004 Focus SVT and my buddy happens to have an extra set of insides from a 2017 ST. I want to know if I can bolt the engine right in. I have the electric steering rack, steering column, etc. etc. I just want to know if the mounts for engine and transmission sync up and if I find an ST cradle if I can bolt that up. You need an 03-07 Duratec transmission. Passenger side motor mount is modified and the axle is also, Volvo power steering pump, couple other things, the rest is factory. cheap sleeper, felixthecat and IdleOne like this. 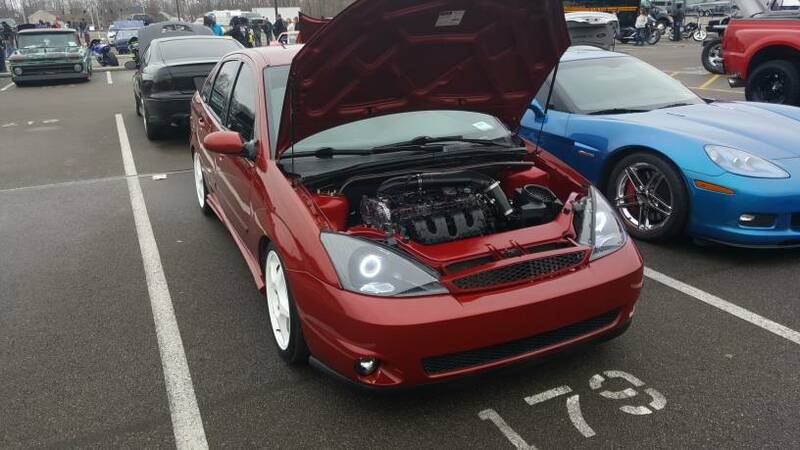 Ever See a Flintstone Powered Focus Before? We don't charge by the word, tell us more. Sorry, my app wouldn't let me quote you. Last edited by cheap sleeper; 03-12-2019 at 06:36 PM. Using the 2007 factory fuel tank and fuel pump, using an MK3 fuel line to make it easier mounting up front. 2007 trans with 2005-07 driver axle, dogbone, driver side motor mount. FSwerks 00-07 sedan exhaust, 07 radiator and fans. cheap sleeper and IdleOne like this. Why can't I keep the transmission from the Focus ST? How about just keeping the electric power steering rack? Because then you would have to make all the motor mounts custom, shifter cables would need custom made, both axles would need custom made due to spline and length. The power steering rack would be too wide or tall, custom tie rods, then wiring to make it run right. But sure, go for it. Lot of extra money you don't need to spend. The mtx75 is much more reliable too. Very stupid question , why not turbocharge the SVT Engine ? Lack of parts if something breaks, ecoboost blocks are cheaper, more plentiful aftermarket parts, more tuning availability, more reliable, easy to find.